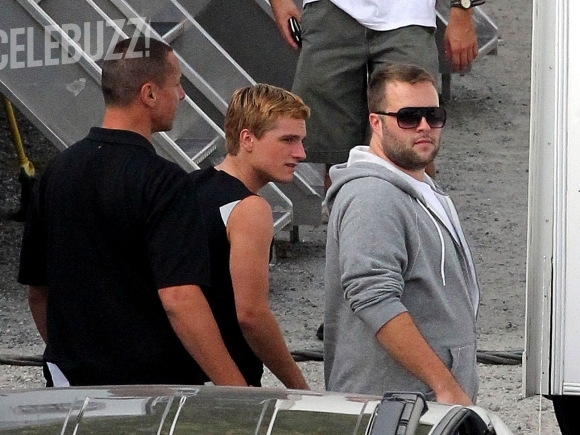 Celebuzz has just released some exclusive pics of Josh Hutcherson and Sam Claflin on the set of The Hunger Games: Catching Fire. 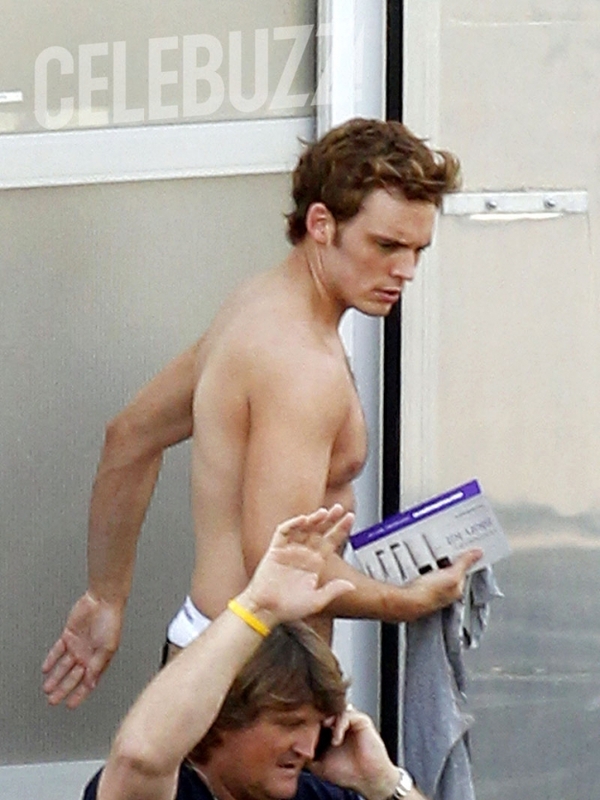 Ladies and Gentleman Peeta Mellark and Finnick Odair! 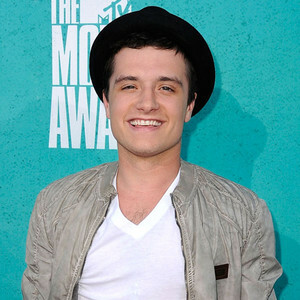 The Hunger Games star, Josh Hutcherson was a popular winner at the MTV Movie Awards, taking out the Best Male Performance Award. E! 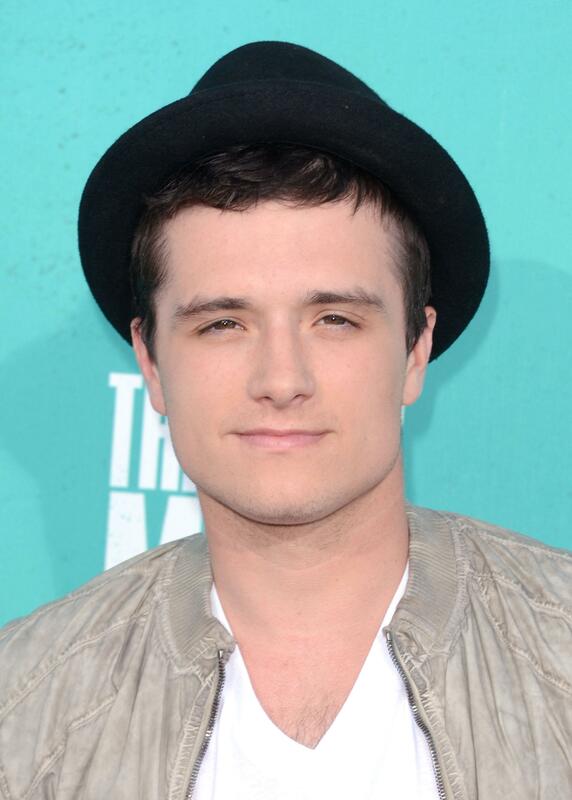 Online caught up with Josh on the Red Carpet on hisway in, to ask him who he was looking forward to catching up with, who his idols are and getting ready for Catching Fire. E! 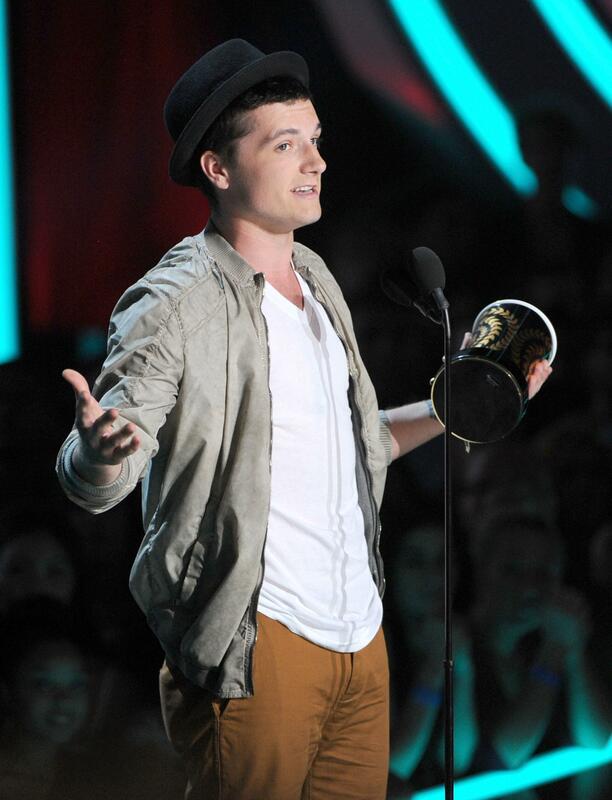 Online caught up with Josh Hutcherson at the MTV Movie Awards tonight and got him to spill the details of his first meeting with Francis Lawrence. 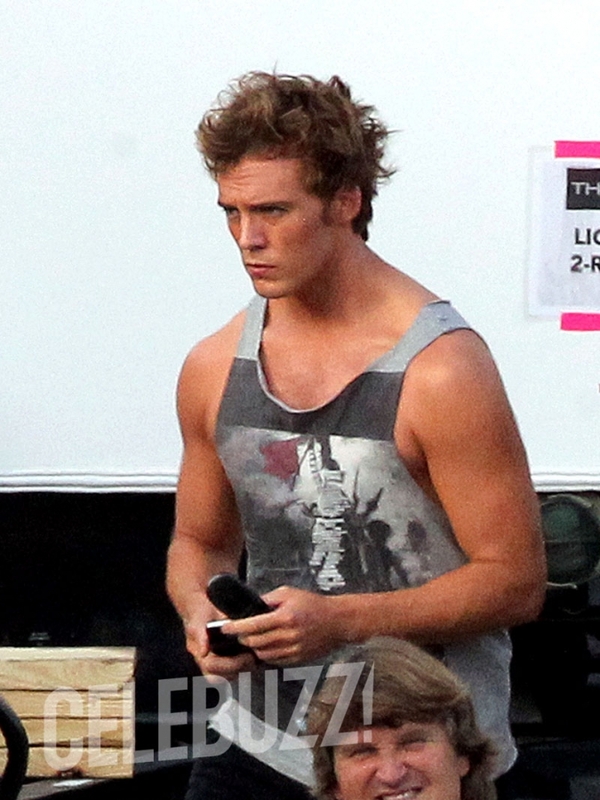 We are so excited to hear they are getting ready for Catching Fire! 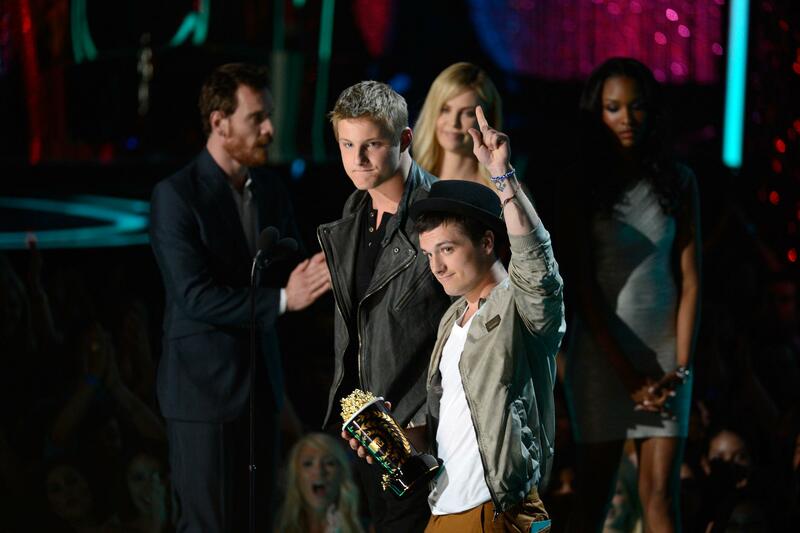 The Hunger Games Wins Big: Takes Home Four MTV Movie Awards! 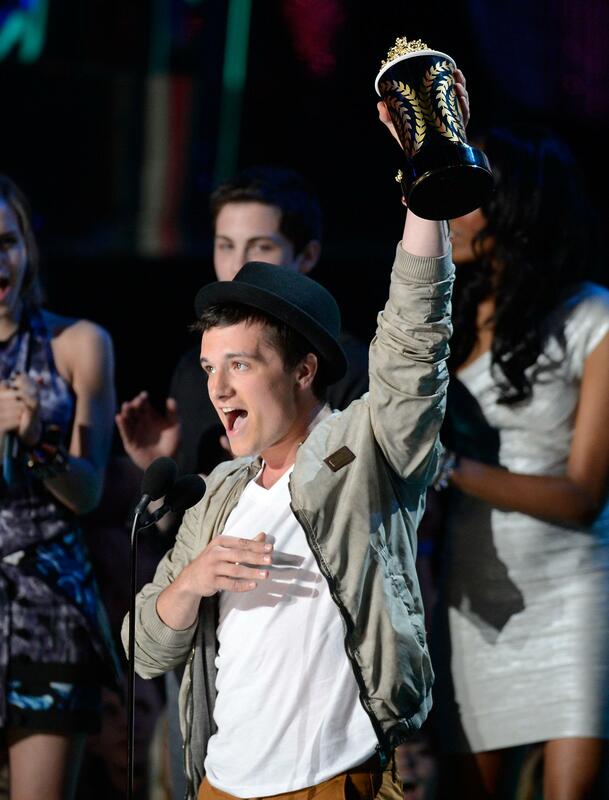 The highly anticipated 2012 MTV Movie Awards just finished airing and, as it sure had to be, The Hunger Games was a big winner: the cast took home four awards! 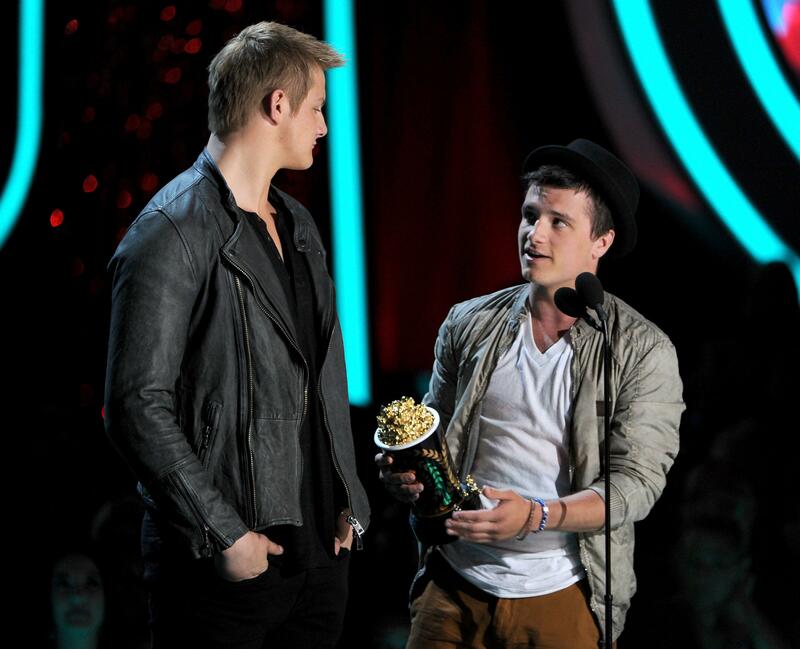 Jennifer Lawrence as Best Female Performance, Josh Hutcherson as Best Male Performance, Elizabeth Banks as Best On-Screen Transformation and, of course, Jennifer Lawrence & Josh Hutcherson vs. Alexander Ludwig for the Best Fight. 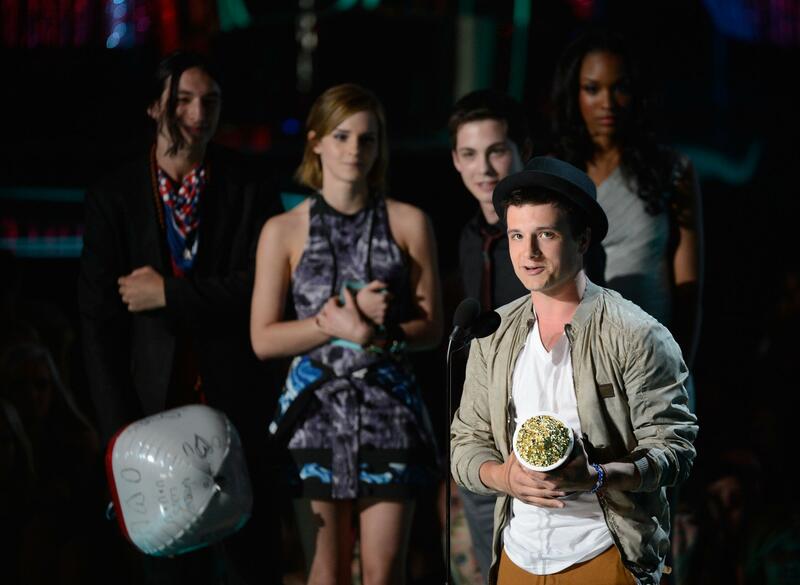 Josh, Elizabeth and Alexander were there to walk down the red carpet and, later, receive the awards. 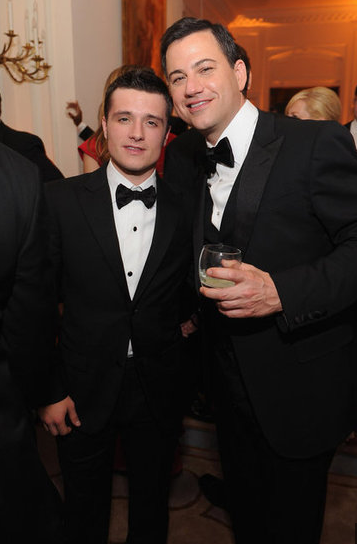 During the White House Correspondents’ Dinner on Saturday, the Washington Post got one minute to get as much information from Josh Hutcherson as they could. And they got through quite a lot. 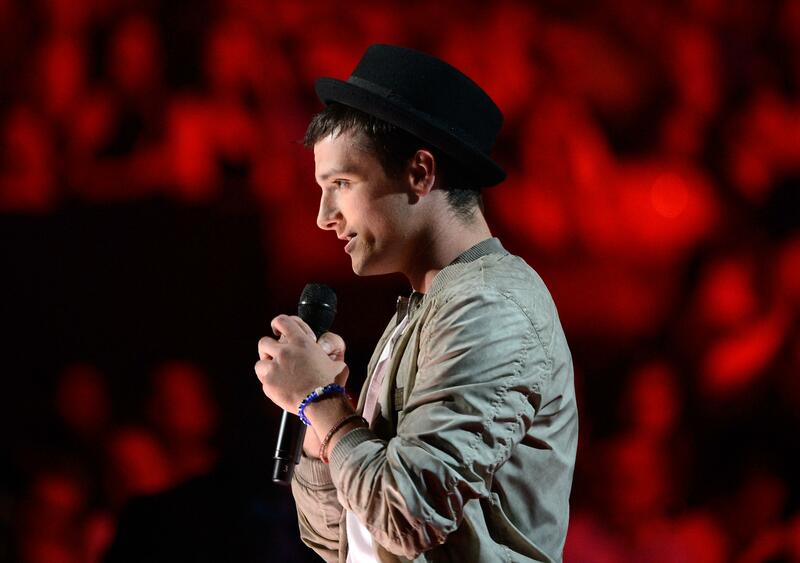 Josh discussed sightseeing in the US Capitol, Washington DC, life since ‘ The Hunger Games‘, whether or not he was really “punk’d” on Punk’d and new ‘Catching Fire‘ director Francis Lawrence. 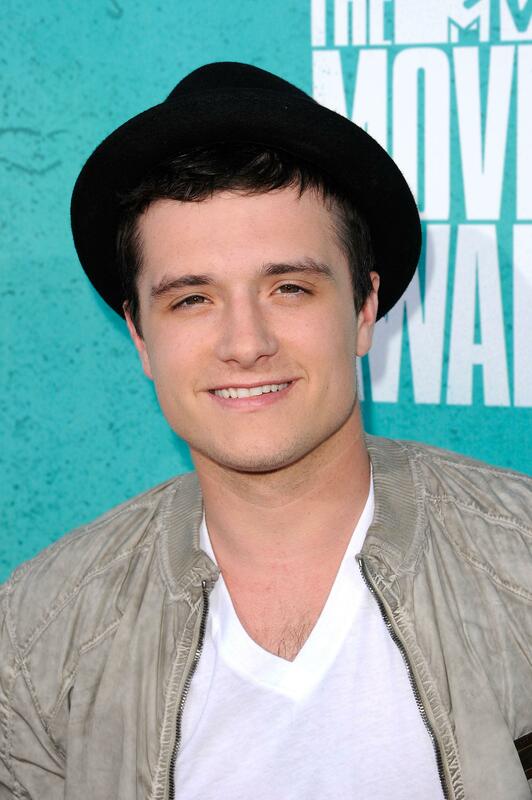 So has your life changed a lot since “Hunger Games”? Is there something palpably different? 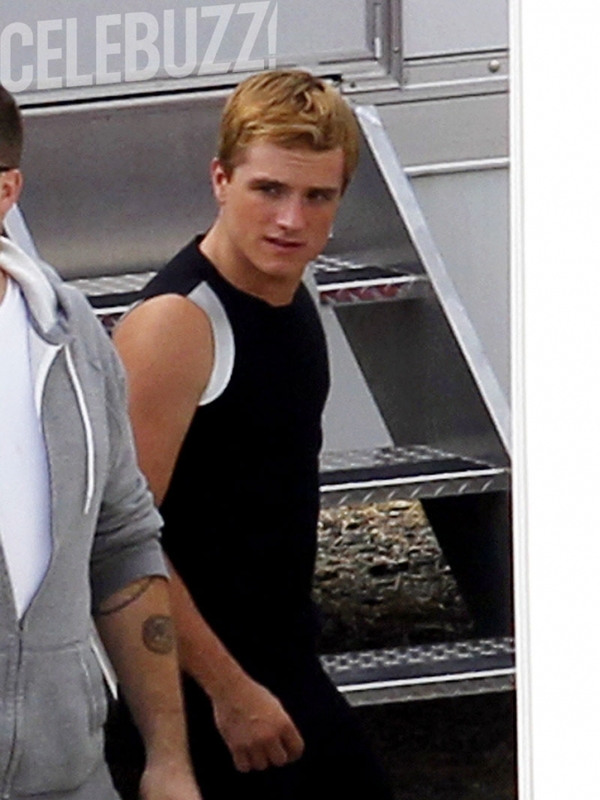 Hutcherson: No. The run-up beforehand was a lot more crazy. Now it’s calmed down a lot. In the beginning, it was absolutely unreal. Now I’m just enjoying it. 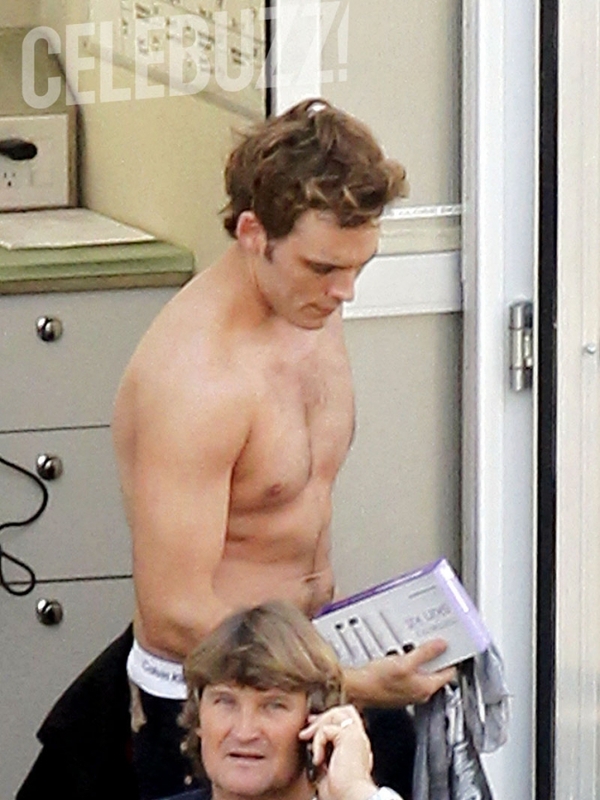 And how do you feel about the new director, Francis Lawrence, for “Catching Fire”? Have you gotten a chance to talk with him? 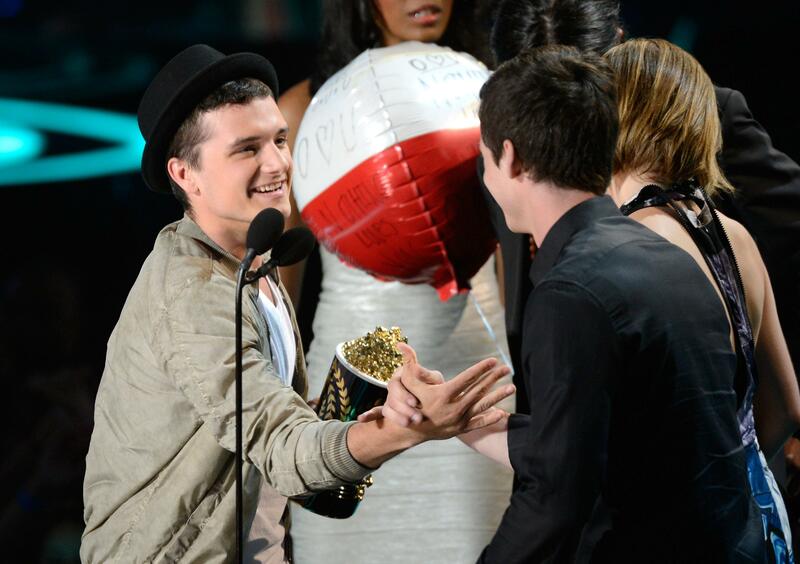 Hutcherson: I haven’t met him yet, actually. But I’ve heard nothing but awesome things about him. I love Gary [Ross] so I’m sad to see him go. But I think at the same time, Francis is going to bring a lot to the table. I saw that you were on “Punk’d” recently. Did you really have no idea what was going on? 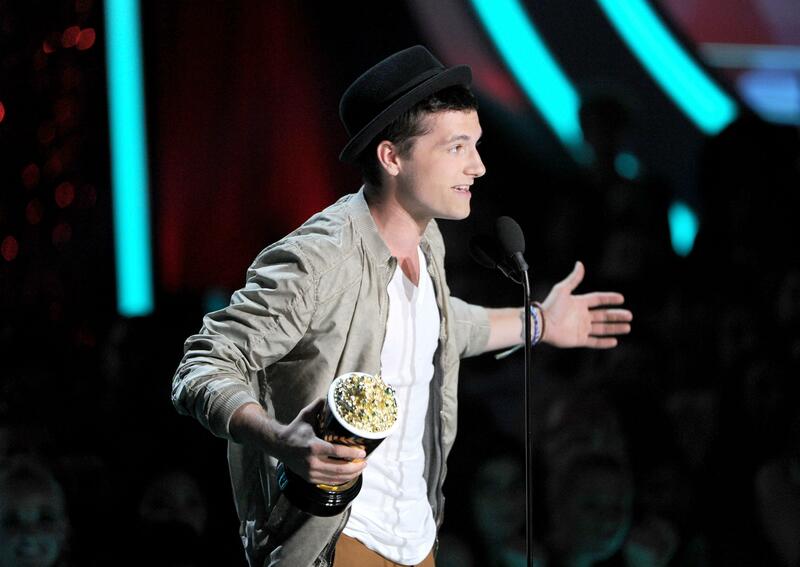 Hutcherson: I had a hankering that something was up. But I wasn’t fully aware of the situation until the very end. 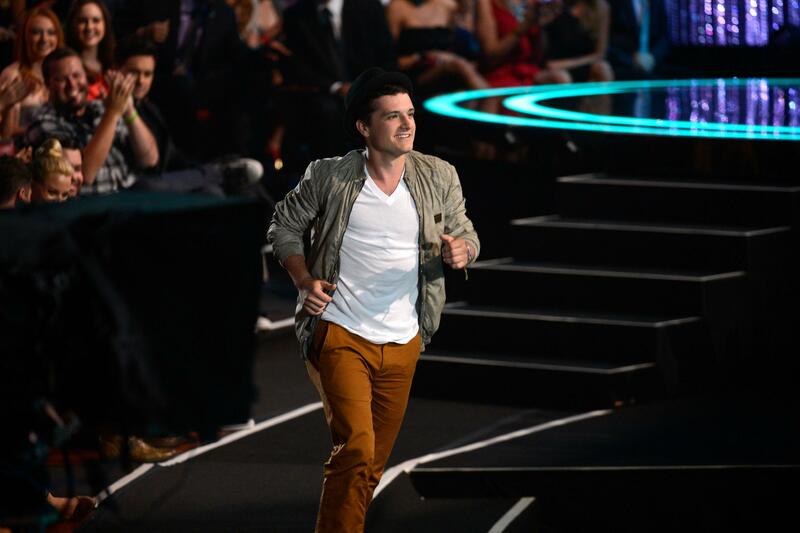 Hutcherson: I have a pretty good intuition. I was able to figure out what was going on. 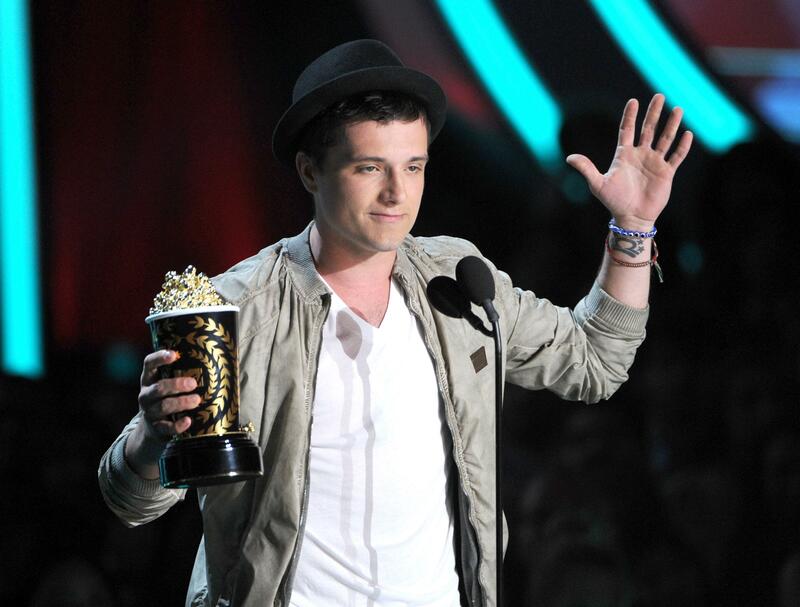 MTV talked with Josh Hutcherson at CinemaCon about Gary Ross stepping down as director for Catching Fire and Francis Lawrence stepping in for the job. 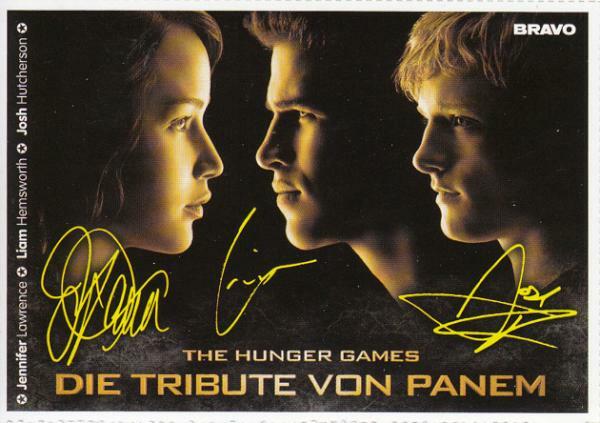 There’s a ‘Hunger Games’ autograph card in this week’s German Bravo magazine!